This futuristic grey base chair caught our attention immediately because of the design. X Rocker is known for a couple of different things. Their chairs are usually very simplistic in nature and combine a few different things such as combining consoles together for functionality, they have simple designs that aren’t stylish but comfortable and their control panels on the side of the chair always look the same. Back support is a huge must for any gaming chair and it’s something we always look for in any gaming chair. The X Rocker 5127401 Chair provides a nice base to sit on and a tilt in the design that allows for superior back support. Q: Will this product work with a Bluetooth? Q: What about tall people? Will this chair fit them? Q: Can you use a microphone headset? Q: Can the chair be used with another on the same console? There might be a couple of things that X Rocker likes to cheap out on but one of those is not comfort. The overall comfort of X Rocker gaming chairs in general is usually pretty good and the leather exterior of the X Rocker 5127401 Chair is no exception. The comfort of the chair comes from the PU leather material and from the overall design. Allowing people to lean back, this chair comes equipped with other features that help you relax such as close by speakers that play immersive audio into your ears. Whether you’re wearing headphones or hearing the sound directly from the speakers, you can easily be in a state of relaxation as we were when listening to the audio. 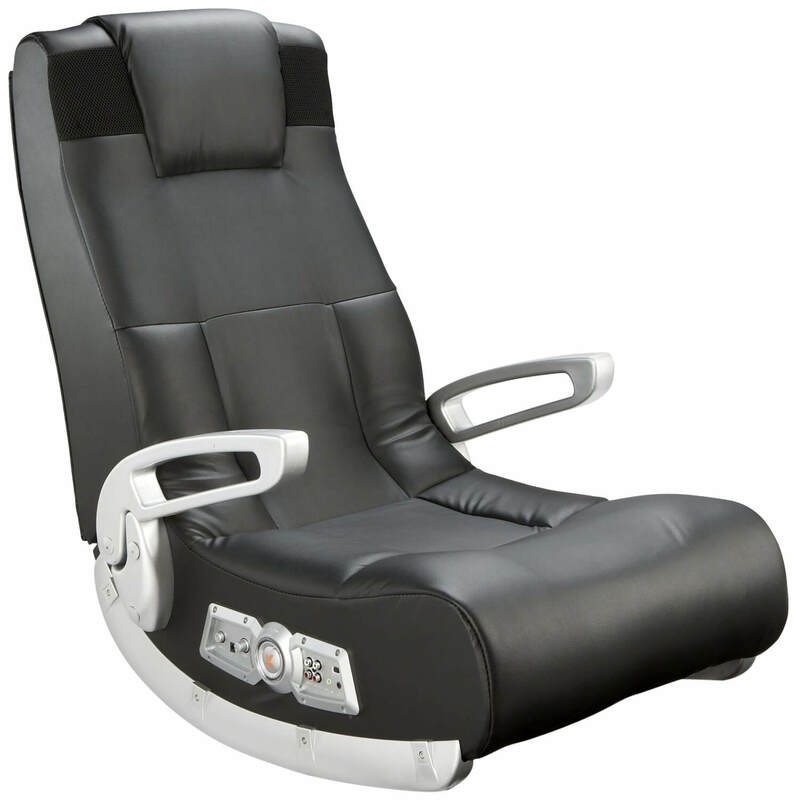 Somewhat unique to rocker game chairs is the tilt tension control so you can decide how quickly you want to rock or tilt back. If you've ever felt like you were going to tip over when leaning back in a chair, then you understand how nice a features that is. An extra padded headrest gives a bit more comfort when you are leaning back in the chair. The padding overall has a sort of overstuffed feel to it, much more then some other rocker chairs. When it comes to the X Rocker lineup of chairs, the designs aren’t usually impressive and you can tell they’re made of plastic from quite a bit away. However, that shouldn’t take away from the overall standard or performance of the product. This X Rocker 5127401 Gaming Chair in particular comes in a relatively plain design that appears to be mostly sleek black. The armrests of the chair are a bland blend of grey and so is the base. The control panel usually blends in with the armrests on X Rocker gaming chairs and has a button in the middle per their signature. This is a black leather chair with the standardized office look but with a solid base that allows you to get off the ground and sit in a comfortable elevated position. This is something that X Rocker never goes cheap on and hasn’t done so with the X Rocker 5127401 Chair either. This chair might come in leather but the overall base of the chair is thick and comes loaded with a lot of padding inside the interior. The base connects directly to the upper portion of the chair, so those don’t come apart but the entire chair is filled with thick padding. There’s a very sturdy base that will sit most young adults and people at or slightly under 6’ comfortably. It looks like cheap plastic but the base is relatively steady and won’t buckle under medium amounts of pressure. The product is also made in the USA from domestic strong materials for added levels of support. Back Support – The design of the chair is labeled as ergonomic and comes tilted in a way that helps with back support. If you’re always worried about your back or neck, this chair comes with a unique design that helps you alleviate those concerns. From the slightly curved in back to the padded additional headrests near the speakers, you’ll be comfortable. Volume Panel – A key signature X Rocker gaming chair feature is always not only the ability to incorporate sound but they always have a control panel on the right side of the chair within an arm length reach. It has all the different controls such as bass control, input jacks, output jacks and volume. 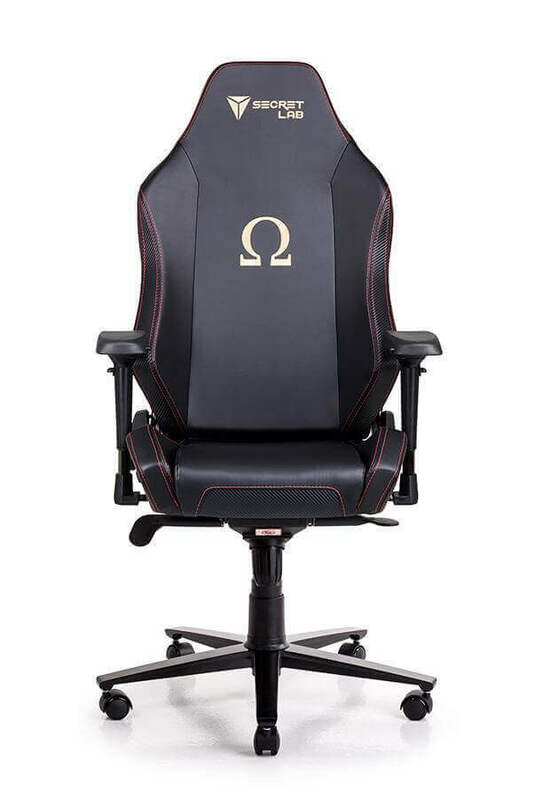 We wish there was a vibration feature on this chair to add to the excitement of gaming or watching a movie. Headphones – If you want to plug in your headphones, you can do so via the side control panel which features not only a headphone jack but it also has audio transmission for wireless devices as well. The wireless transmitter fits right into your TV's audio output plug. Then just turn on the chair and it is good to go. Consoles – If you’re worried about compatibility, no need to worry about that because every modern console today is compatible with the X-Rocker 5127401 Gaming Chair. All you have to do is simply hook them up and plug them in, you’ll be ready to face off against your friends in no time. Assembly - The assembly is pretty easy, even for one person. Instructions are very clear and simple to follow. Expect it to take about 20 minutes or so. Power - You don't have to use batteries to power up the chair, but it doesn't come with a power cord. Obviously batteries will run out eventually, but you do have more options of where to use your chair when you opt for batteries. Of course, using the power cord ensures you never run out of juice in the middle of a gaming session. A: Unfortunately, this product won’t work with a Bluetooth. It works with every modern console you can throw at it but it wasn’t built for Bluetooth compatibility and we don’t know of many gaming chairs on the market that were. A: It depends but if you’re over 6’, you might have a bit of trouble fitting into the chair or enjoying it as much as smaller people would. X Rocker is known to make chairs for teenagers and young adults that are small in size. Heavier gamers will wish it had a bit more padding, too. If you are over 200 pounds, then you may want to go for a rocker type chair for big and tall guys. A: Unfortunately, you can only use headphones to listen through the chair. If you need to use a microphone during gaming, then you'll need to have that plugged into the console and not through the chair itself. A: Yes, you can use two chairs plugged into the same console and play simultaneously. X Rocker is a well-established company that’s known for putting out affordable gaming chairs that come with audio functionality built into the chair. We can recommend this X Rocker 5127401 Chair for the quality of the audio alone but it’s a really comfortable chair as well. As always, the control panel on the chair had a lot of different options for customizing your audio experience. The design of the X Rocker 5127401 Chair as well is nice and offers a lot of comfort when you tilt back.